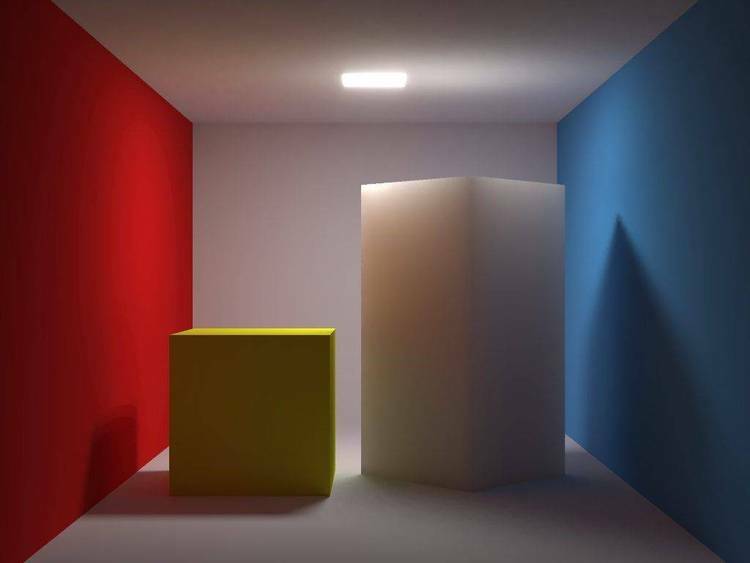 C source for a simple ray tracer. to make it more compatible for animated film production. and a plane that is covered with a tiling of any bitmapped picture. is used. If the option is not used the default is data.dis. is used. If the option is not used the default is bdata.i. an argument. If the option is not used the default is pat.def. There are two neccessary input files: ball data, and a pattern bitmap. scan lines no longer than 512 bytes followed by newlines. the last four numbers determine how much of each atrribute is used. and a pure glass ball would have 1.0 0.0 0.0 0.0 .